Day three in Las Palmas. 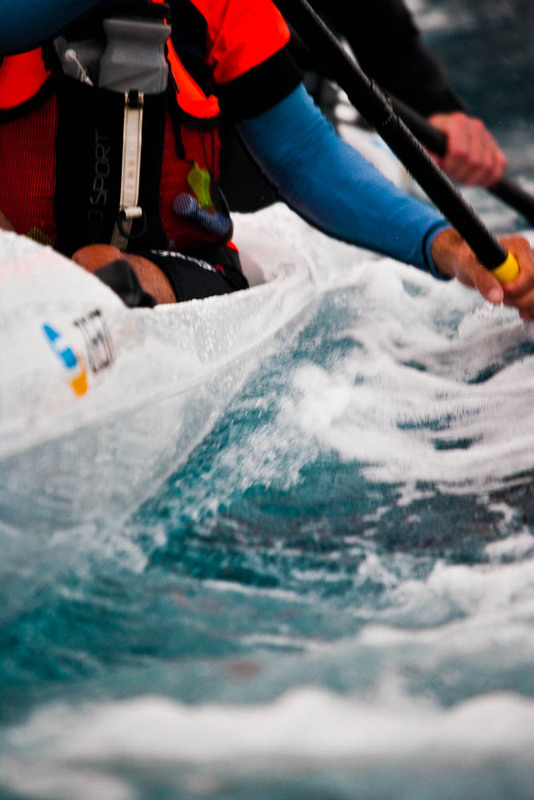 Three days of paddling starts to feels in the body. Today the swell still was to hard so we couldnt go for a downwind. The participants went out in the SS2 Zest and also today we had the safetyboat. Its perfect, we go out from the harbour with the downwind and we surf back in upwind behinde the boat. Works perfect and its very good practise also we can keep the pulse high the whole session. Yesterday in the Flash i had a lot of power and it was so easy in this superfast ski, today in the Vault i felt unfocused, bad day for me. Hope i will be fresh tomorrow as i told Esteban and Antonio that i gonna beat them in tomorrows DW (they go with the participants in the SS2 Zest). Ouh i guess i will shew some saltwater tomorrow, these guys dont give anything away ;). Today we had one session in the morning practising technique and safety. The swell was massive so we couldnt go out in open sea. Also the participants needed a free afternoon. In the afternoon the club decided to go out to Pereljill but one of the guys fliped in a critical spot so even the local experienced surfskiers decided to go back and continue the training in the harbour. Esteban is drilling us hard in the sessions and now with a Tapas filled stomach you really feel that byou have worked hard today ;). En av våra kurs och test Arrow Play… grymt läcker färgkombination! Play för dig som vill köra allt från sköna turpaddlingar till grymma upplevelser i vågorna. Dagger Katana är här, forskajak för det stora äventyret. Igår fick vi hem Dagger Katana. En forskajak för dig som vill uppleva både fors och natur på bästa sätt. Det här är en riktigt cool kajak och kvalitén är som vanligt top notch. Upplev spännande utmanande expeditioner och paddlingar med nya Dagger Katana. En forskajak som klarar grader upp till 3-4. Packa din Katana och ge dig ut på ditt livs äventyr på lugna och vilda vatten. Läs mer om Dagger Katana i webshopen.